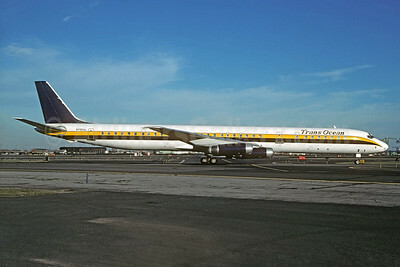 (formerly Gulf Air Transport-GAT) (QG/GAT) (Philadelphia) 1989 - 1990. Photos. Framable Color Prints and Posters. Digital Sharp Images. Aviation Gifts. Slide Shows. 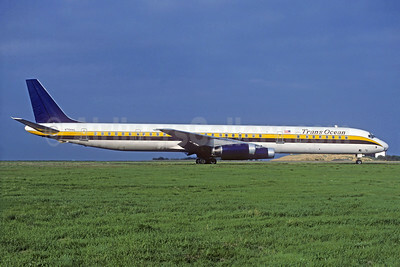 TransOcean Airways (2nd) McDonnell Douglas DC-8-63 N794AL (msn 45923) (Christian Volpati Collection). Image: 931819. 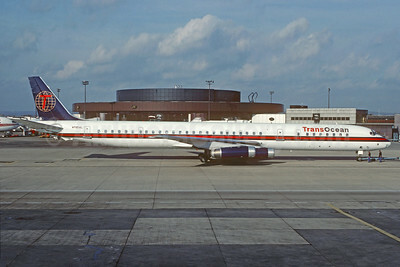 TransOcean Airways (2nd) McDonnell Douglas DC-8-63 N795AL (msn 46136) EWR (Christian Volpati Collection). Image: 931820. TransOcean Airways (2nd) McDonnell Douglas DC-8-63 N795AL (msn 46136) LGW (Christian Volpati Collection). Image: 929912. 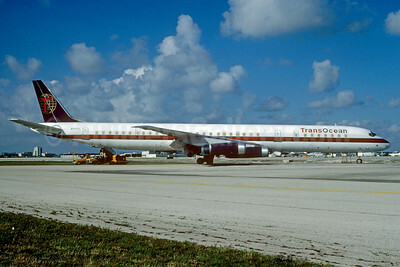 TransOcean Airways (2nd) McDonnell Douglas DC-8-63 N795AL (msn 46136) MIA (Bruce Drum). Image: 104034.